There's been a whole bunch of leaks popping up of the "supposed" next generation iPhone casing. 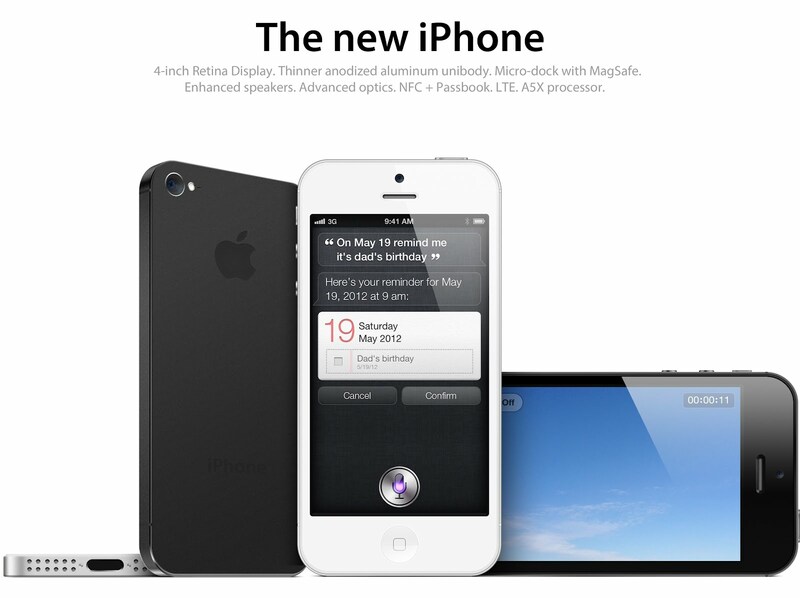 If this were true, the new iPhone would sport a similar form factor of the iPhone 4/4S. Noteworthy changes are the obvious larger, elongated screen, aluminum back-plate in two anodized color-ways, smaller "micro-dock", front camera being shifted above the earpiece, headphone jack moved to the bottom, and the secondary microphone is now between the camera and flash. Now while I do see some of these changes making its way onto the next iPhone hardware, some of the choices don't really jive with me. For instance, the back-plate is not full metal, instead opting to leave glass strips at the top and bottom. Not something I'd expect from Apple design wise, but hey, I didn't think the black antenna breaks on the leaked iPhone 4 was very Apple at the time. Now it's an iconic hall-mark of the iPhone4(S)' design. Well, I've gone ahead and rendered something that I believe will be very close to what Apple will show off this fall. You are just summing up the rumors.. Thanks! This is indeed a summarization of all the rumors, as well as things that I want to see happen on the next iPhone hardware.